Japanese fashion even that of Harajuku streets is a crazy and confusing thing, often paradoxical. We tried to reconstruct all the main mad trends that are followed by Japanese fashionistas. There are gaudy colours and incompatible items of clothing, dyed hair and contact lenses. And unsymmetrical-printed tights, for sure! Special admiration should be expressed for wonderful Tanya “Angry Cutie”. Without her the collection simply couldn't launch at all. 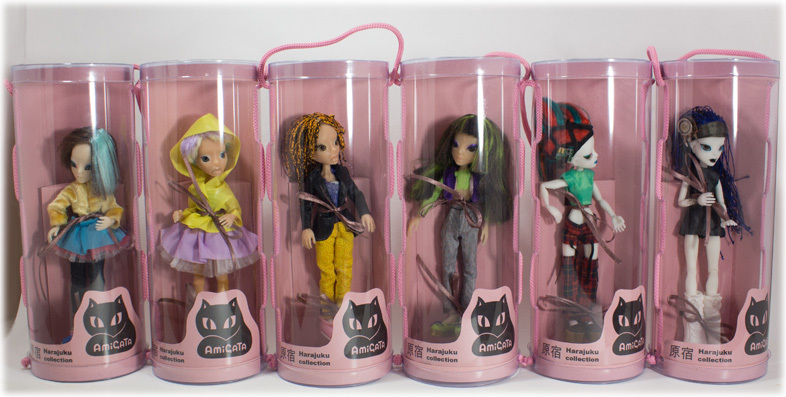 Harajuku Collection was presented at VIII Moscow Doll Salon in autumn, 2013. The girls with Una and Dua face moulds took part in the show.